Now what? Well, I could solve for a number of things – but really I am looking for relationships between the variables. Honestly, it is pretty simple to solve for the initial speed needed to hit a certain spot if you know everything else. It is not so trivial to solve for the angle needed if you know the speed. To make things a little easier, I will switch to numerical mode. And to do that, I will need some starting values. 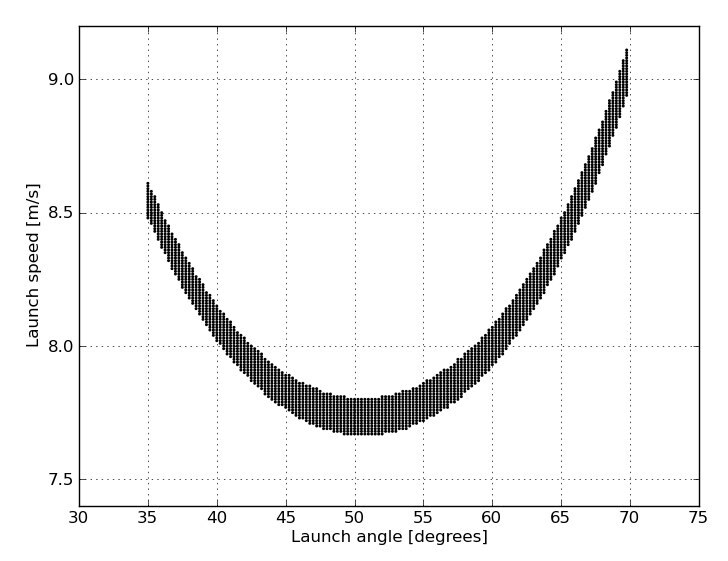 This shows that there seems to be a fairly linear correlation between the initial throwing angle and the angle the ball has when it hits the goal (for this same distance and height from the goal). So, perhaps this is one of the answers to the questions. 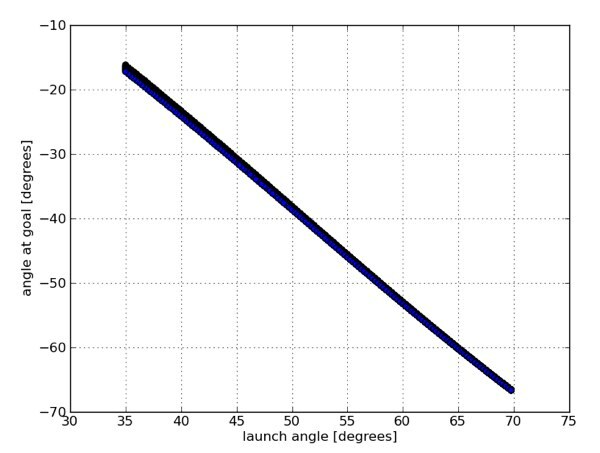 If the best launch angle is around 50 degrees, this would correspond to one “entering angle” of about -40°. The video basketball computer can’t really see the launch angle, but it can see the final angle. Do you know what is really cool? Even though I can look at projectile motion and calculate optimal launch angles and stuff, I can’t really shoot any better than the average person. 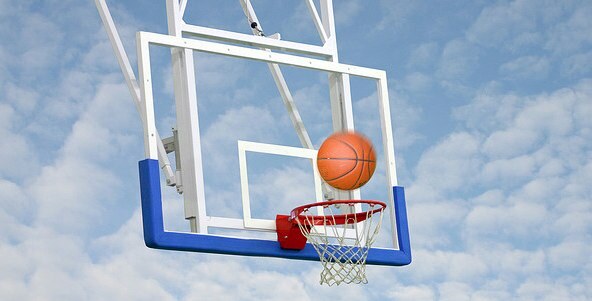 On the other hand, an NBA pro could take a shot from a whole bunch of different locations and make many of them. 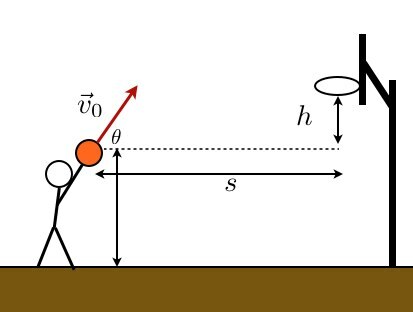 Some of these NBA players have no clue about projectile motion (although surely some do). So, how do people make these types of shots? If you say “muscle memory” or something like that, I don’t like it. It could be muscle memory if they always shot from the same place with the same initial velocity and angle. But these players shoot all over the place. They jump and shoot. They move the side then shoot. Crazy.